Winter will be gone before you know it, and your currently cold garage will be baking. 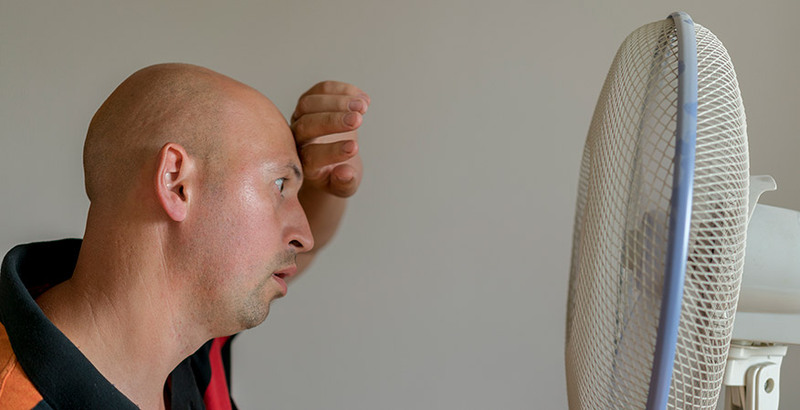 Garages are notorious for trapping in heat, and a great fan is essential for keeping cool. However, getting the right fan can be a frustrating task with so many fans to choose, and it’s tempting to just grab the first fan that catches your eye. But they each have unique features, so getting the right fan is important. To that end, we’ve broken down the 5 best garage fans and assigned them a score out of ten. But if you want to know how we came to decide which fans were best, we went into a bunch of detail down below. Our chart categorizes the fans into wall mounted or floor mounted, the level of air flow each fan can make, oscillating or tilting design, then a final score for an overall impression so you can easily compare fans. 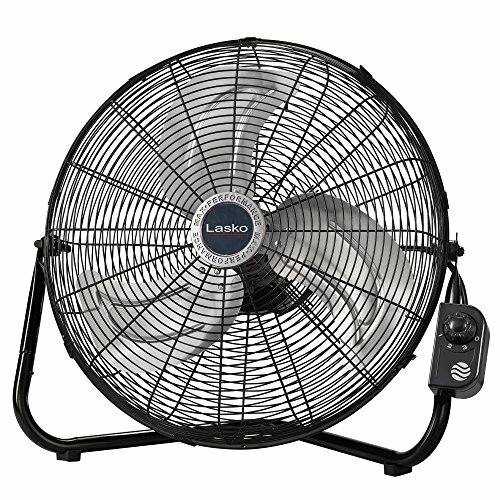 Right off the bat, if you just want to jump in and grab the best fan we found, here we are: the Lasko 2264QM High Velocity Fan. This baby comes with a great quick mount so you can switch between a floor position or hang it on the wall. This is perfect since most garages tend to be pretty full or cluttered; I know mine is no better. This way you can put the fan where it works best for you, whether that’s bending over your car’s engine or sweetly blowing on you while you sit at a workbench. The Lasko wins the ultimate competition because of its versatility; it can do what the other fans can do all well enough that it doesn’t really suffer. 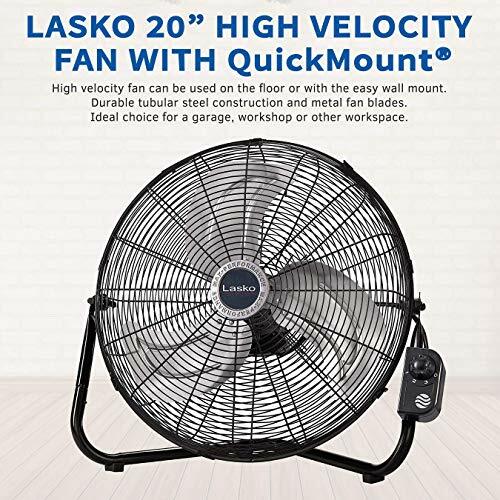 So there you have it; if you want a fan that has enough speed to keep you cool but enough changeability that you can put it where you want, look no further than the Lasko. 3 Powerful Speeds - makes this fan ideal for the garage, shop, attic, or anywhere else you need a high velocity fan. The powerful motor and metal fan blades provide a cooling breeze throughout the room. Pivoting Head to Direct Air Flow & Circulation - allows you to direct high velocity air up, down, or anywhere in between making this fan ideal for cooling or ventilation of an area. But if you’re interested in the specifications and the down-and-dirty details for all these great garage fans, check out the breakdowns below! Noisy fans annoying you? Check out our list of the best quiet fans. 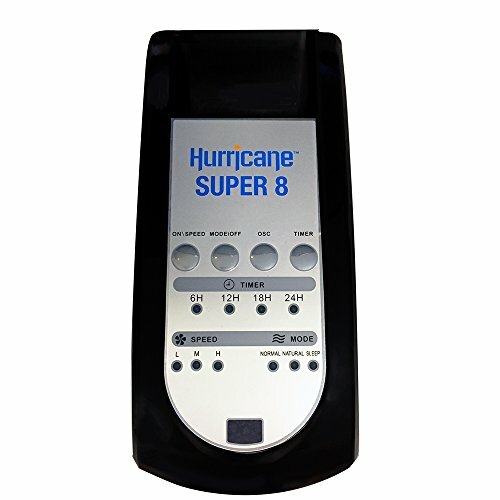 First up is the Hurricane Super 8. Hurricane makes a lot of fans and they’ve got a great reputation in the industry. The Super 8 is no exception to their other great machines. First off, it’s an oscillating fan, and it moves in figure-8 patterns! How cool is that? 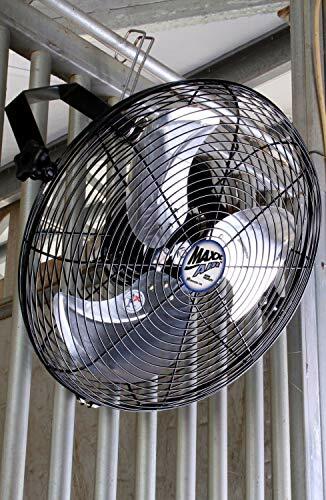 This basically ensures that the air flow it produces is going to reach every corner of your garage, getting you a nice, even cooling experience. This will be perfect once summer rolls around and the garage feels more like an oven than a place to hang out. It’s got a lot of controls and buttons; whether this is a plus depends on the person. I’m the kind of guy who doesn’t mind a bunch of buttons, but others like their fans to be simple and I can’t blame them. Then again, the fact that this goes in a figure-8 pattern basically means its controls have to be a little complex. It’s also got 3 settings for its CFM score, so you can turn down the cooling effect if it gets too chilly at night. A last bonus for this fan is its relative quietness. It doesn’t drone as much as some of the other fans do, and that might be a deciding factor for some people. Altogether, it gets an 8/10 because of its low-medium CFM score, which can only go as high as 2118 CFM. This means although it oscillates its cooling potential is limited, but maybe the fact that it reaches everywhere in the garage means that its cooling is ultimately just fine? A solid balance of great airflow and reasonably low volume, this fan is a solid performer. It’s not the coolest, but it flows well and is easy to use and customizable. Seven out of ten doesn’t sound great, but what we’re going for here is dependable and easy-to-build. This fan is great for travelling around and lugging a garage fan with you, which might sound weird at the outset but consider a mobile home, or a person who does garage work around the country? This fan is small, so it can fit in any garage, and it can be ceiling or wall mounted. That kind of movability means that it has a place in someone’s toolkit. It is a tilting fan, though, which means you have to adjust it each time that you want to change its angle. MaxxAir in particular builds really durable fans designed to last, and I think that’s part of this one’s design; it’s not super high-powered or manageable but it’ll still be kicking years down the road when some of the other fans, like the one above with its complicated controls, have broken down in one way or the other. Sometimes keeping it simple is the way to go, and this goes double for a fan designed to be moved around from garage to garage or taken in the truck for a big job. Its CFM is pretty low, but again, this fan is designed to move and take up a little space in varying garages. 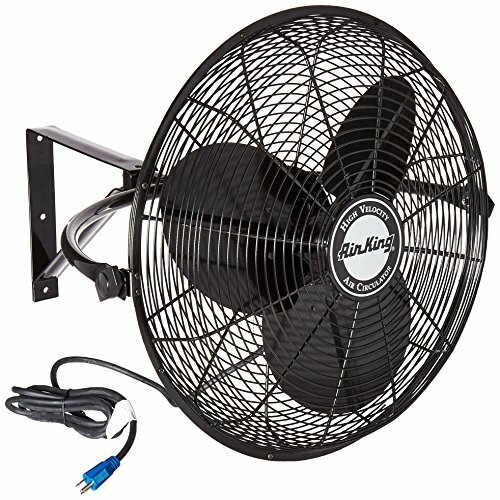 I could also see this fan working as something on a patio or outdoor workspace, where the cooling power isn’t needed as much as some hotter spaces. It can even work in tandem with some other fans to generate complete garage cooling coverage. If you’re looking for something easy to build or portable, this fan might be the perfect choice. While not the most powerful fan, it’s incredible durable and highly portable. Those who want a reliable and flexible workhorse should consider this model. Have you looked at bladeless fans? Our winner from higher on this page. The Lasko wins because of its versatility; it’s got decent CFM at 2500 and 3 settings for speed like the first fan we checked out. It can also turn from floor to wall fan at your convenience, making it perfect for an evolving garage. Sometimes the space available changes, and this fan can change with the space you have available while still having enough juice to adequately cool the entire area. This fan doesn’t need any tools for construction and it’s got rubber pads on its supports, so if you put it on the ground it won’t get banged up just from moving it here and there. In fact, this fan was meant to be moved and changed from floor to wall, a lot. The designers made the process easy to encourage you to adjust as the conditions around you change. They even included some nice handles in the design for easy moving. 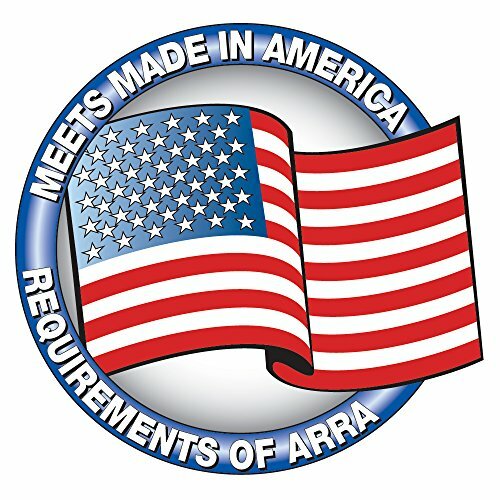 Lasko builds a lot of high-quality fans and they all have a reputation for dependability. 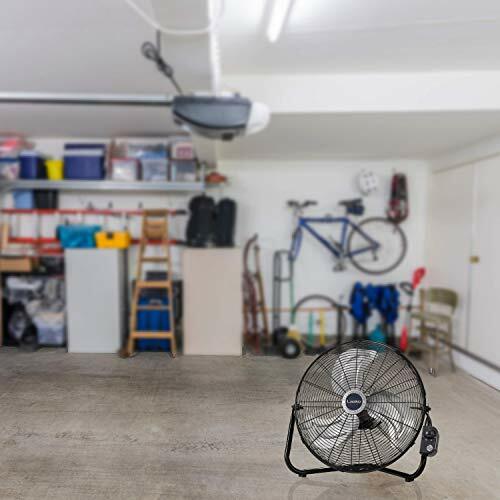 This is a great fan for all kinds of garages and conditions, which is why it wins the best overall for our list of 5 best garage fans. 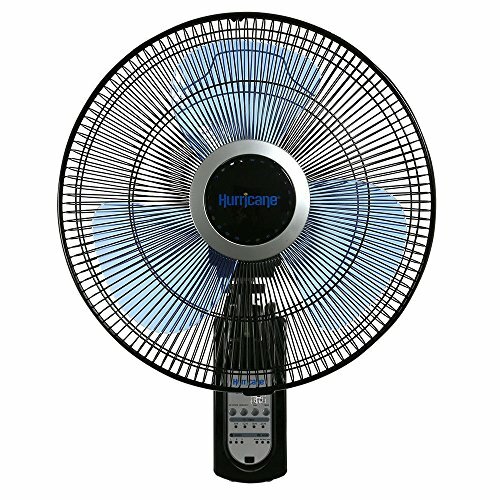 A solid performer, this fan is built well, is easy to use, and customizable. It should satisfy nearly every consumer. The Firtana is another wall mount fan, and it’s got a CFM you won’t believe: 4650. This beast is in the game for the long haul, looking to cool down your garage so well you won’t even need another fan to help. It’ll basically be air conditioning! The Firtana also has a really cool feature with its tilt design: it can rotate 360 degrees! This means its range of coverage is fantastic even if you keep it in one spot, like on the floor or on a table or shelf. It can move however you need, which basically negates much of the flaw that is a tilt design. Combined with its crazy air-moving power and you’ve got a machine that’s perfect for large garages with a lot of space to cool. I should mention that is also has a 3-speed setting so if the highest speed is a little too cool for you, you can set it down and enjoy a more relaxed breeze as you work. It doesn’t have to be full-power all the time, after all! Shoppers looking for pure power will find this model to be the best. It has decent features, but pure air flow reigns king. The Air King is a great fan whose mount I love. It’s very firm and stable; you’ll be able to bolt this baby up high in your garage and feel secure that it’s not going to come down any time soon. This gives it good utility as a corner fan, or placed somewhere similarly high where it can get maximum coverage for the whole garage. 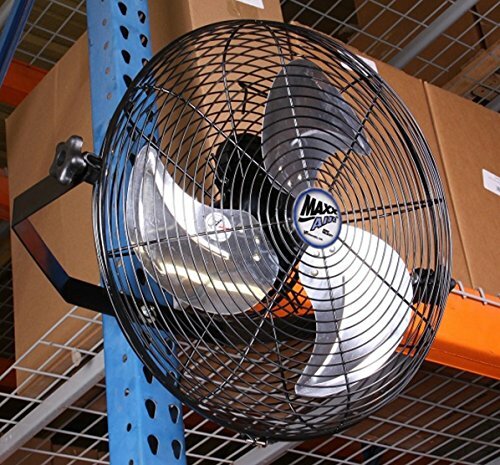 I could see this fan being used a lot in machine shops with wide bays used for servicing a lot of vehicles at once. Its CFM is nothing to sneeze at, too, at 3670 CFM. 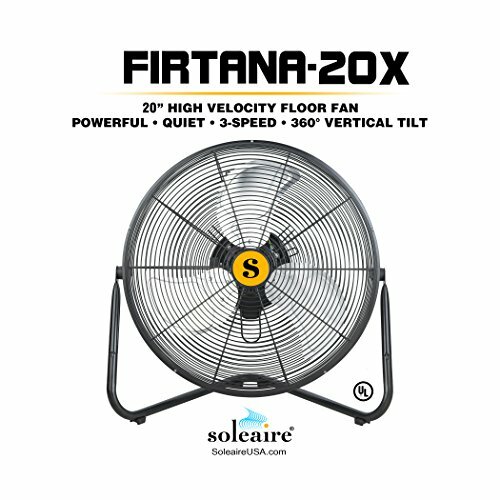 This makes it our second-highest power fan in the group, again ideal for high, wide positions where the goal is to cool as much air as possible. This fan also has the standard 3-speed selection, although if you place it up high you’re probably not going to be adjusting the speed too often. At least not without a ladder! However, the price for this fan is noticeably higher than the others, and this brings its score down just a bit since you can accomplish a lot of what it does for less money with the other fans. I think that if this fan was cheaper, it would compete more for a 9/10 score. The final note for this fan is its stylish black finish. I know looks aren’t everything, but there are great-looking garages and mediocre-looking garages. I think this fan instantly makes the place look a little higher-class or put-together, even if tools are thrown around. You can’t put a price on style, but it’s worth noting just the same. A workhorse fan with a stylish body and decent features, but its expense may not justify this combination for all users. A combination of form and function, and a splurge. To give you a bit of an idea of what we look for in a garage fan, here is an overview of the criteria we use to choose the best. This is basically just telling you if the fan sits on the ground- a floor fan- or is mounted on the wall- a wall fan. They both have a couple good things going for them; the real difference is in what they’re used for. For instance, a floor fan is great for setting up near the area you need cooled, since the air is going to stay low near the garage floor and circulate the immediate area. Remember, warm air rises, and cold air sinks. If you need a fan right next to you while you work, floor fans might be better. 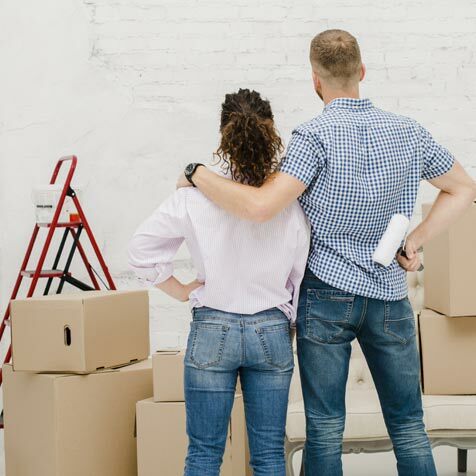 But wall fans offer more complete cooling of the entire garage, since they’re usually higher and thus circulate air throughout the entire area. These are great if you’re going to be working throughout the whole garage, moving back and forth between the workbench and whatever cool project you’ve got going on. Most wall fans come with a mounting kit, so that’s not something you generally need to worry about. Wall fans also have the added advantage that you won’t accidentally step on them or knocked them over without looking. Be careful, though; if you mount it too low you might smack your head on the fan instead! Fans measure their circulating ability with a metric called CFM, or cubic-feet-per-minute. Sounds complicated, but it’s actually really simple; you see, the higher a fan’s CFM, the more air it’s moving and the cooler it keeps an area. In general, higher CFMs also translate to a wider area capable of being cooled by a fan. Higher CFMs are almost always good for garage fans, since they’re not indoors and we’re not too worried about noise or waking a baby. The goal of a garage fan is to keep the place cool, not quiet and serene. Besides, you’re probably making enough noise in the garage already! So we always look for higher CFMs and lower scores in this category mean ultimately weaker fan effect on the garage. These are two more categories of garage fans. They refer to the way that the fan is oriented or pointed. Oscillating fans are those which move back and forth automatically; think fans on a stand that go back and forth when they’re plugged in, blowing air back and forth. Only one of the fans on our list has this feature, and we think it’s a good one to have, but not altogether necessary. 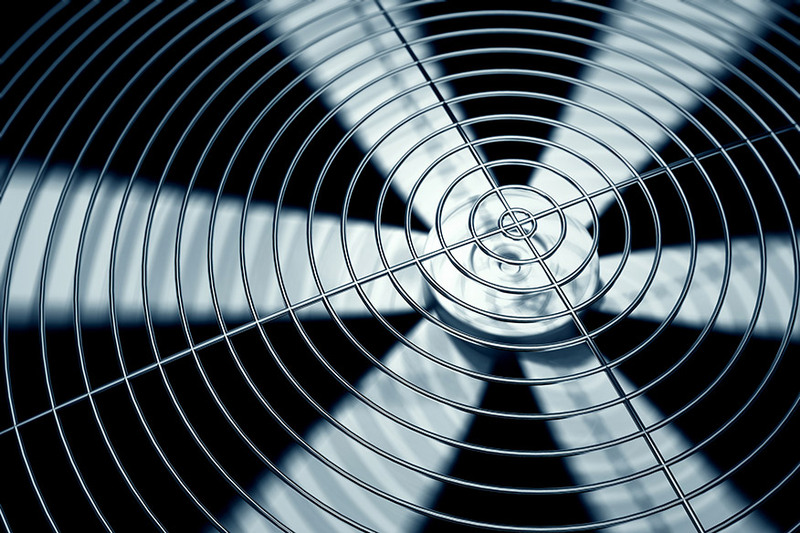 Usually oscillating fans are better at keeping wide areas, like a garage, cooler than fans that don’t move at all. Fans that tilt can, you guessed it, tilt in the direction you manually point them. This means that if you want to cool down a certain area you have to move the fan yourself and then it will only blow air in that direction. This isn’t really that big of a deal, since it only requires you to reach over with your hand and move it a little, but it’s a little less great than oscillating fans. But who knows? Some people like static fans like these since they find the oscillating kind distracting thanks to the constant movement. This is ultimately just a personal preference that doesn’t affect the score that much. 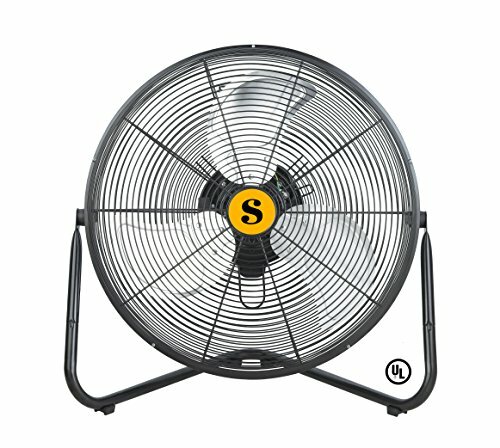 All of our fans have three blades, which is the standard for this size and style of fan. There are a few that have more blades, but never less, and usually adding more blades doesn’t really help with the cooling effect; in fact, having more blades makes it harder to generate consistent air flow, so three is really the best number to look for. 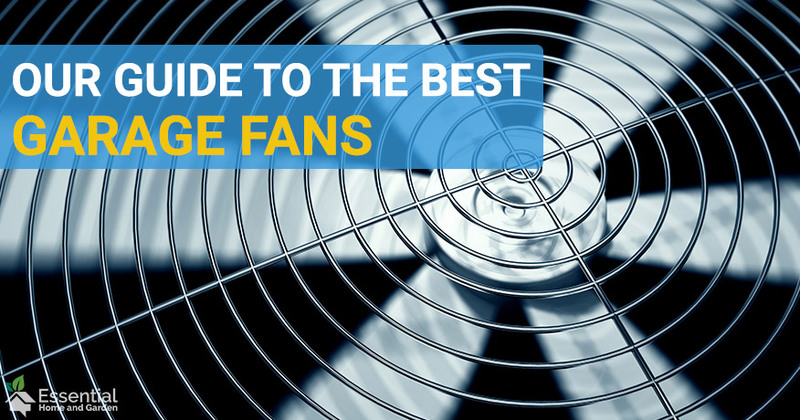 Now you’ve got our recommendations for the best garage fan, but if you’ve made it this far you’ve also gone through our criteria and seen how we’ve made our judgments. The right fan for your garage might be one of these or it might be some other fan we haven’t even heard about! So take a look around and see what you can find; most importantly, check out the fans in person if you can so that you can get a real feel for them in action. If you liked any of these fans or found one we should be aware of, let us know in the comments!